where their whole world is. while they stick the world into your ears and eyes. than blackberries, apples and cookies. You need never apologise for pod slurping. now they sit in our pockets early and late. you just might catch a bluejacket or bluesnarf in your bitnet. until you decide on their transfer protocol. and will think nothing of downloading most things into the MUD. they think inhabit your domain. the fire trucks to put out the firewalls. the Pigeon Drop on your Black Hat. no micros or macros can filter through. 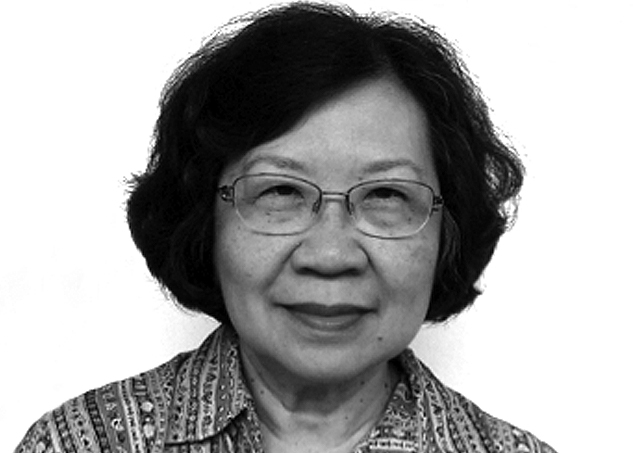 Lee Tzu Pheng, Anne, born in Singapore, retired as Associate Professor in English Literature from the National University of Singapore where she taught for 32 years. She is author of seven collections of poetry: Prospect of a Drowning (1980), Against the Next Wave (1988), The Brink of An Amen (1991), Lambada By Galilee & Other Surprises (1997), Sing a Song of Mankind (2012), and Standing in the Corner (2014); a relatively modest output but which has won her numerous awards, including the Singapore National Book Development Council Award for Poetry (three times), the Singapore Cultural Medallion for Literature (1985), the SEA (South East Asia) WRITE award (1987), the Montblanc-CFA (Centre for the Arts) Literary Award (1996), and the Gabriela Mistral Award from the Republic of Chile (1995) commemorating the 50th anniversary of the Chilean poet Gabriela Mistral’s winning of the Nobel Prize for Literature. Lee was the only Singaporean among 50 writers worldwide honoured with this award. In addition to poetry, Lee has a book for parents on reading-readiness in children, Growing Readers (1987), and a book of prose reflections titled Short Circuits (2012). Soul’s Festival is a compilation from her first four collections which are now out of print.